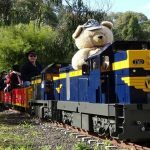 If you are looking for a fun day out with the kids in Melbourne, you can’t go wrong in Diamond Valley with the Eltham Miniature Railway train. 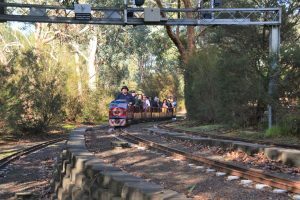 Operating every Sunday north east of Melbourne, The Eltham Miniature Railway gives adults and kids of all ages the experience of riding Australia’s Premier Miniature Railway through the wooded bushland along the banks of the Diamond Creek in Eltham. 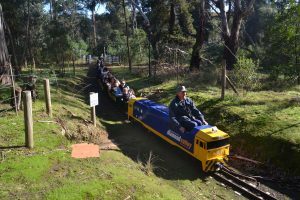 Featuring a mainline of 2 kilometres in length, that takes almost 15 minutes for trains to travel around, the Diamond Valley railway is a fantastic experience for the whole family. 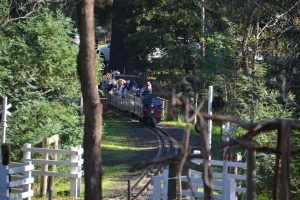 Sitting aboard the miniature train, kids won’t take the smile of their faces riding around the bush, in and out of tunnels, and around the track. It really is just like a real steam train, just a miniature version. 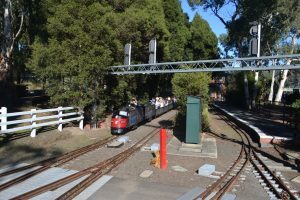 The Eltham Miniature Railway features 3 stations, two signal boxes, 4 bridges, two tunnels and many lineside features. Over 20 locomotives and 100 carriages are based at the railway with 13 trains able to run at any one time on the system of tracks. The earlier you go the better, especially trying to find a carpark as later on it can be a challenge and you may have a bit of a walk. The queues can look daunting but they move quite quickly, with extra miniature trains added when it is really busy. 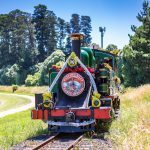 Once you have had a ride on the miniature steam train, the kids can burn off some energy one of the nearby parks. 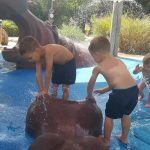 The Eltham Copper Butterfly Playground is great to sit and lay out your picnic mat and let the kids play. Or there is a huge oval across from the railway if you want to have game of football or cricket. There are a few picnic tables around the area that you can use. However, if you aren’t there first thing in the morning, they are usually snapped up quickly. 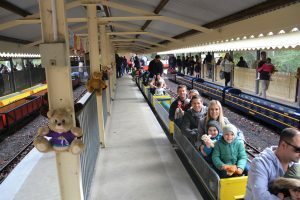 Many families plan ahead and use them for their kids birthday parties at the Miniature Railway. You can find other food options around if you don’t bring a picnic lunch. There are a couple of food vans with hot chips, ice-cream and other snacks, and sometimes even a bbq sausage sizzle. 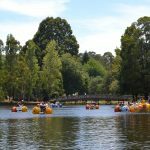 The Eltham Miniature Railway holds two major events each year which are extremely popular with locals and tourists. 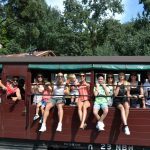 Trains run for 12 hours from 11.00am – 11.00pm with passengers able to enjoy the Diamond Valley Railway during the day and into the night. 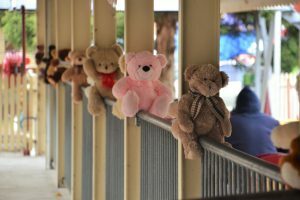 Dozens of Teddy Bears are displayed around the minature railway and children ride free this Teddy Bear’s Picnic weekend if they bring a teddy or soft toy along with them. 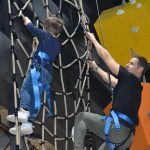 Also open on some Public Holidays and School Holiday Wednesdays (except in December) from 1:00pm until 4:00pm. 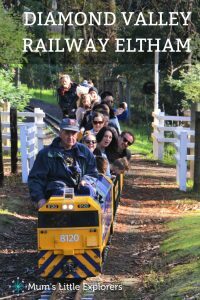 Tickets to ride the Eltham Miniature Railway are just $3 per person with children under 2 riding for free. Tickets are cash only.